A perm can give your hair gorgeous, loose, perfectly tousled waves and more volume. The master Lakewood stylists at HQ Salon give the best perms, using the latest innovations in perming techniques and technology to deliver results that are totally authentic to our clients so they look and feel their best! Texture Perms at HQ Salon Start at $120. Don’t know if a perm is right for you? Want to get a quote on a perm for your hair? Contact HQ Salon for an initial consultation and helpful answers from our expert Lakewood stylists. New processes, like using different size rods and leaving hair ends out, to create more versatile, custom looks and give clients more options for the look and size of their curls. Should I Get a Perm? What Type of Perm Should I Get? What is the current condition of your hair? – If your hair is damaged, it’s best to wait for a perm. Perms make the prettiest curls on hair that’s in good condition. Do you want permanent curls? – A perm usually lasts about 6 months, with the curls relaxing about 28 hours after the process. Digital or Hot Perms – These yield looser waves and more natural-looking curls. Hot perms can be ideal for thicker hair. Cold Perms – These yield tighter, more ringlet-like curls. Cold perms can work on nearly any type of hair. Find or take a picture of the type of curls you want. Avoid getting your hair colored (or otherwise treated) before the perm appointment. Apply an intensive moisturizing conditioner to your hair 2 days before your perm appointment. The day before your perm appointment, avoid a deep condition or any heat styling. Try to leave hair alone the day before so that your hair is ready to “take” the perm. Wait 2 to 3 days (following the perm) before shampooing your hair. This allows the curls to fully set. Shampoo with products made for curly hair and with cleansing shampoos (that can remove product), alternating between the two. Condition with products containing proteins and minerals. Stay away from heavy, creamy formulas that will weigh down curls. Limit or avoid heat treatments, dyes or other chemical treatments for a least one month after the perm. When drying hair, scrunch it. Don’t rub it with a towel. When swimming in pools, wear a cap to protect your hair from chlorine. Trim your hair at least every 3 to 4 months to keep your curls bouncy. HQ Salon is a chic, full-service salon offering exceptional perm services, amazing products and stunning results. Our expert Lakewood stylists have permed all types of hair, and we ready to talk to you about the perm options that will work best for you. 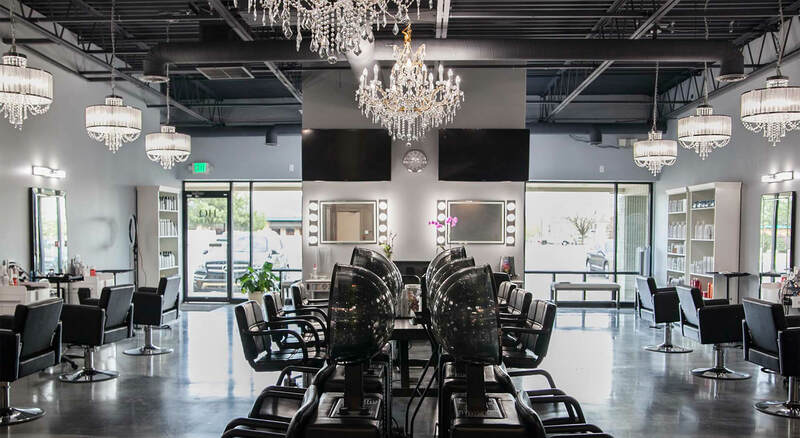 Welcoming all types of clients – women, men and children, HQ Salon pairs amazing services and products with amenities like a beer and wine bar, a snack bar, free parking and free WiFi. We are ready to provide you with a relaxing, luxurious experience, personal service and a gorgeous new perm!